The Third-Party Breach Problem: Are Your Partners a Risk? What’s the deal with Artificial Intelligence in Cyber Security? NotPetya and WannaCry: Have We Seen the Last? 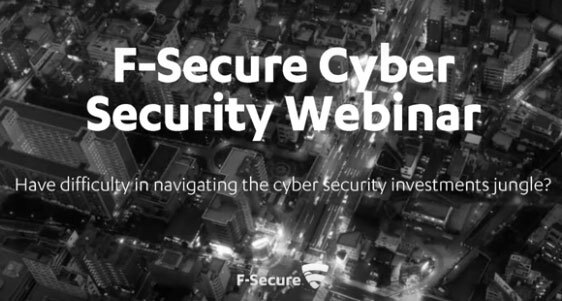 F-Secure is a European cyber security company with decades of experience in defending enterprises and tens of millions of people around the globe from digital threats. By encompassing end-point security, network security and security management solutions, F-Secure addresses the growing need to protect servers, PCs, laptops and mobile devices against everything from ransomware infections to opportunistic or targeted cyber threats and their devastating consequences. Your Message Has Been Sent To The Relevant Department. You Will Hear Back From Us Shortly.